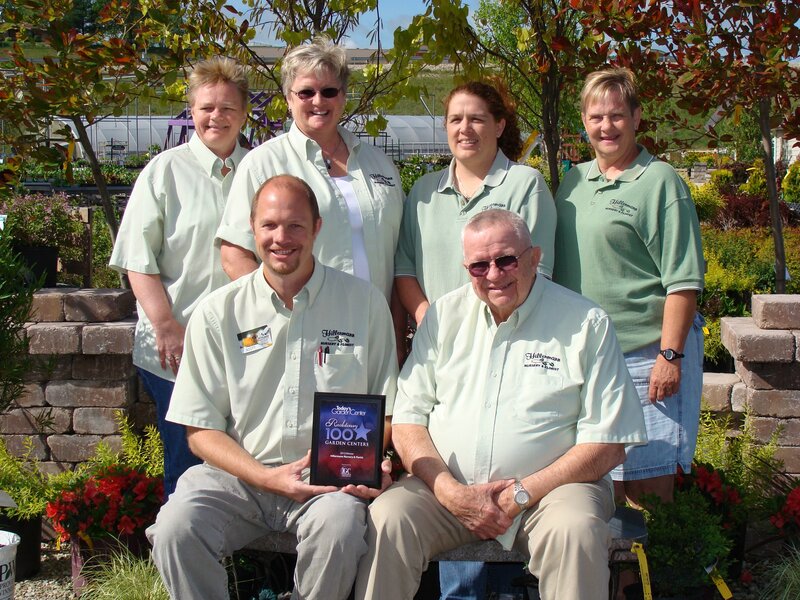 Hillermann Nursery & Florist has again joined the ranks of the horticulture industry’s top local garden centers and has been named one of Today’s Garden Center magazine’s Revolutionary 100 Garden Centers for 2015. The company has made the list each year since the start of the program! The Revolutionary 100 program, which began in 2006, surveys garden center owners and managers on how they run their businesses. These retailers compete in a variety of areas that reveal their business health and how they impact their local communities. The Revolutionary 100 is open to all local garden centers, large and small. To be considered for the Revolutionary 100 status, garden center owner and managers across the United States fill out an extensive online questionnaire covering topics such as customer and community service, management philosophy, marketing, use of technology, purchasing and profitability. Hillermann Nursery & Florist has been named among the top 100 Independent Garden Centers in the United States by Garden Center Magazine, a leading media source in the green industry. The Top 100 Independent Garden Center List, based on annual revenue reports, allows the magazine staff to get an in-depth look at the health of the green industry. They look to the Top 100 as not only leaders, but as an inspiration to all operations of the industry’s bright future. Hillermann Nursery & Florist is listed as number 46 on the list of 100. Hillermann Nursery & Florist is a large, locally owned nursery/garden center nestled in a valley at the eastern edge of Washington, Missouri. Second-generation family members now own and operate the business that was started in the spring of 1951 by Don and Bernie Hillermann. In the many years that is has been in business, the company has gained many long time, knowledgeable employees in its departments of Nursery & Greenhouse, Garden Center, Floral & Gift Shop, Equipment Center, Landscape, Irrigation, and Landscape Lighting. Creative displays are available in all departments and an abundance of plants and display gardens surrounds the property at Hillermann Nursery & Florist. Annual bedding plants, vegetable plants, perennial plants, gorgeous container gardens and hanging baskets as well as a large selection of nursery trees, shrubs and plants are plentiful throughout the growing season. Garden tools, amendments, bird and wildlife items, kitchen and canning items, and unique décor and gifts are available in the garden center and flower shop. Quality lines of lawn and garden equipment, plus parts and dependable service and repairs, are available in the Equipment Center. Hillermann’s Landscape Division offers top quality residential and commercial landscape, irrigation and landscape lighting design, installation, and maintenance. Landscape designs can include patios, retaining walls, landscape beds, water features and more. The company offers many classes, workshops and fun events throughout the year. Such as make and take workshops, monthly kids’ activity days (on the first Saturday of each month), classes in several subjects, family oriented events and more. View their website to look up coming events and more at http://www.hillermann.com.